Ellen Bennett is a jack-of-all-trades. She cooks, she designs, she’s even hosted a TV show in Mexico. Saying that she’s multi-talented would be an understatement. 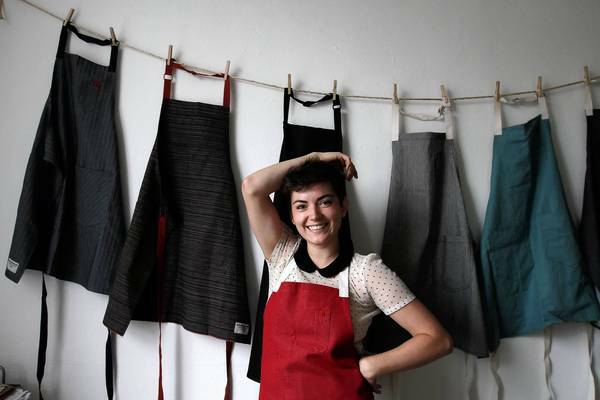 Her latest project is Hedley & Bennett, a company that seeks to design, make, and supply the perfect apron for chefs, artists, potters… basically, anyone who needs an apron. In LA alone, she supplies aprons for some of the most notable restaurants—Animal, Churchill, Providence, to name just a few. Even superstar chefs like Alton Brown and Chef Ludo wear them loud and proud! But the best part? 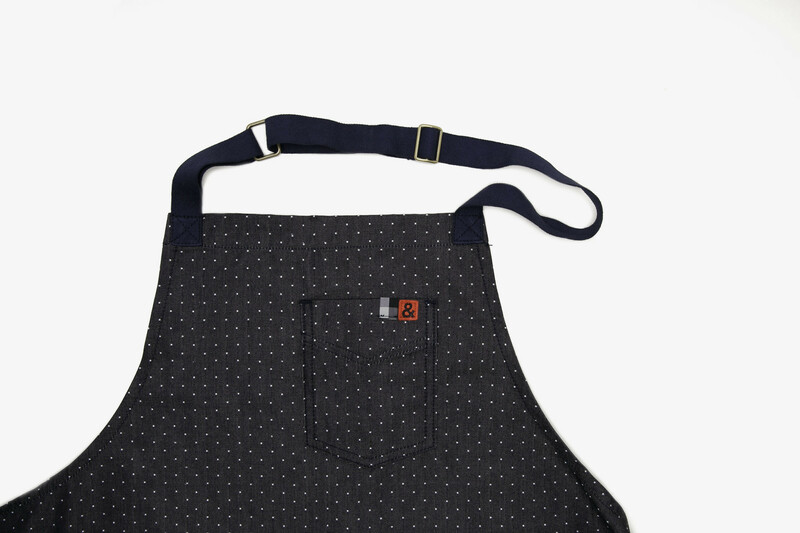 Hedley & Bennett has made an exclusive apron with Poketo! Made of premium Japanese denim, it’s got cute little polka dots that will make you smile. 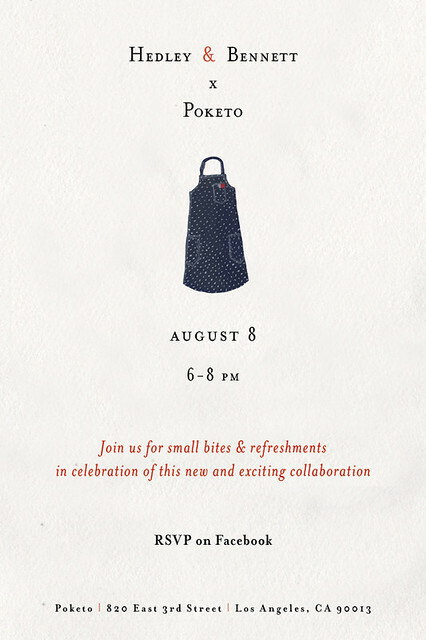 Join us Thursday, August 8 from 6 to 8PM as we launch our new collaborative Hedley & Bennett X Poketo apron. 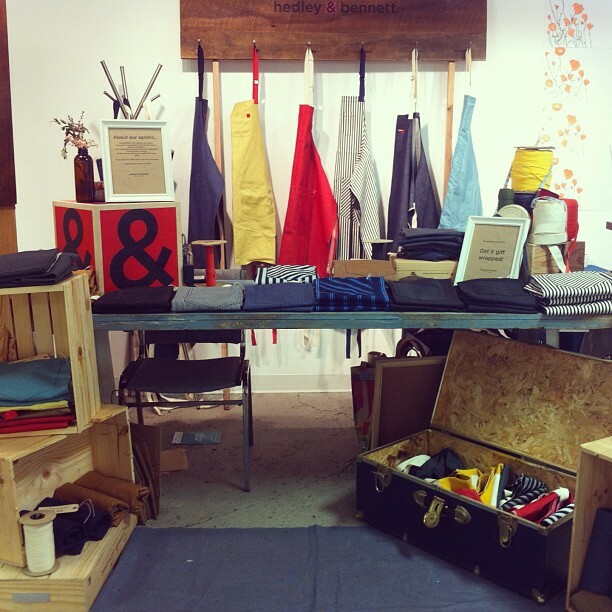 A range of items from Hedley & Bennett’s collection will also be available for purchase. 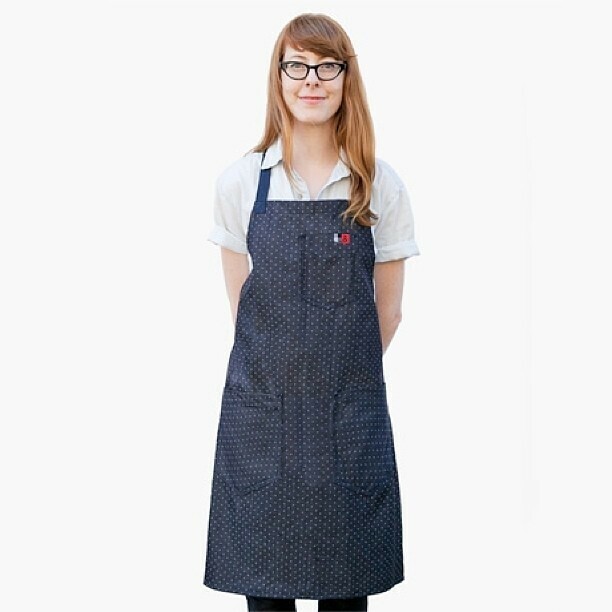 So stop by and shop around the Poketo store to find an apron that defines you. Bennett (did I mention that she’s a cook at Providence?) will make amuse-bouches, and refreshments will be provided. Make sure to RSVP on Facebook!